Kick off June Classic 3 in style by riding on The Oaks International Field in The 2nd Annual American Tradition of Excellence Equitation Challenge, presented by Whitethorne. Held from June 18 – 20, this one-of-a-kind three phase class provides invaluable experience for all involved PLUS the winning rider earns a new Butet saddle and their trainer takes home a $10,000 bonus. The unique format includes much more – not only does each competitor receive feedback via a judges comment card, but riders and trainers also attend an informative and social forum at The Ritz-Carlton, Laguna Niguel. Listen to judges Bernie Traurig and Geoff Teall, Technical Delegate and Course Designer Karen Healey and Mental Skills Coach Tonya Johnston present an educational session and interact with the competitors through a Q&A. Stay in style – partner The Ritz-Carlton, Laguna Niguel is offering special event room packages – see offer below. Additional prizes from Butet, EquiFit and Tredstep will be presented during the prize giving ceremony. To view the Equitation Challenge specifications in the Summer Prize List, please click here. The Ritz-Carlton, Laguna Niguel, host of the evening social and video presentation, is offering a group rate for the event. To reserve, please visit book.passkey.com/go/BlenheimEquiSports or call 877-266-6065. Please note: Media, partners, and sponsors must obtain passes in order to attend the press conference and evening social event. Contact Melissa Brandes to request credentials: (949) 212-8556 or email. Come find out why Blenheim EquiSports is #ThePlaceToBe for your #BigEqGoals! Whitethorne always carries a number of high-quality Hunters, Jumpers and Equitation horses for sale or lease in Southern California. These horses are personally chosen by Georgy Maskrey-Segesman and her partner in Germany, and represent some of the best competition horses available in Europe for every level of competition in Hunters, Equitation, and Jumpers. 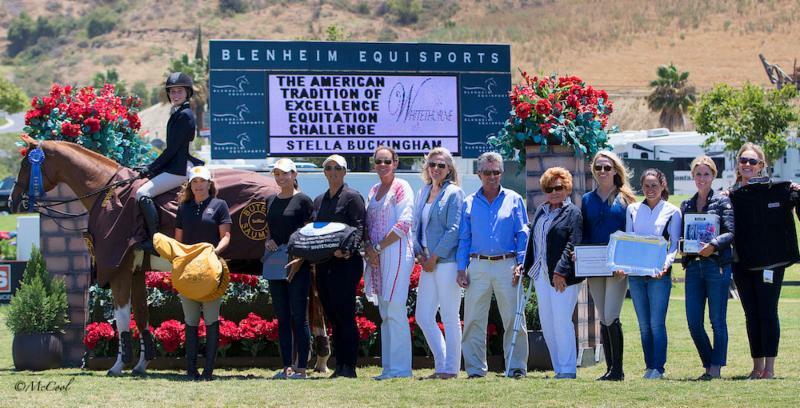 Whitethorne is committed to growing the next generation of both riders and horsemen through education and innovative classes, such as The American Tradition of Excellence Equitation Challenge at Blenheim EquiSports.